This beautiful cottage on the lake was once used as a school. The attached house dates from the 1970s and the apartments were renovated in the 90s. This beautiful cottage on the lake was once used as a school. The attached house dates from the 1970s and the apartments were renovated in the 90s. Included in the rent is the free use of the toy for outside of rowing boat and canoes. On the beach there is a sauna hut, this and the barbecue are shared with the Andren guests of the property. Final cleaning and linen are included in the rent. This apartment was originally built in 1973 and refurbished in 1995. The agent has rated it as a two star property so it is a plainly furnished apartment with limited facilities. It is ideal for a cheap holiday. 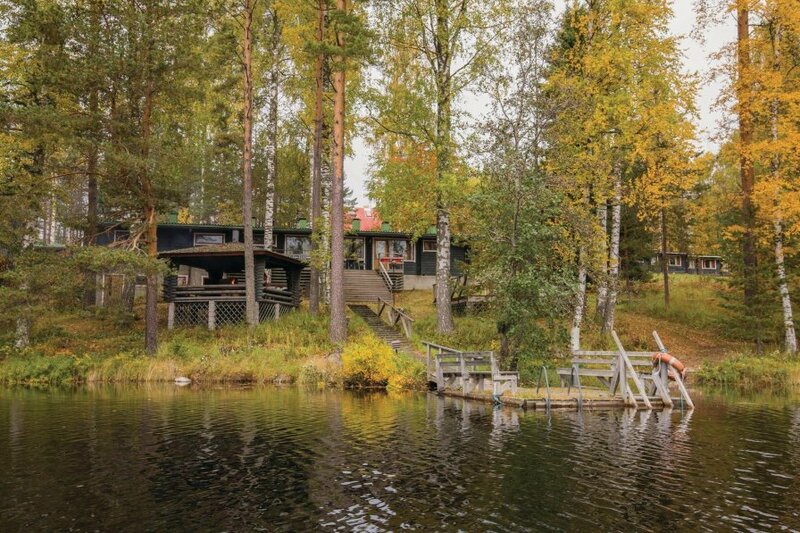 This apartment has lake view and is located in Lake District, 31km from Mikkeli. It is set in a very convenient location, just 60 metres away from a lake. There's also a restaurant 6km away. The apartment has free wireless internet. You can also park on-site at no extra charge. The apartment is adequately equipped: it has a refrigerator and microwave. It also has a shared barbecue and some shared garden furniture outside.